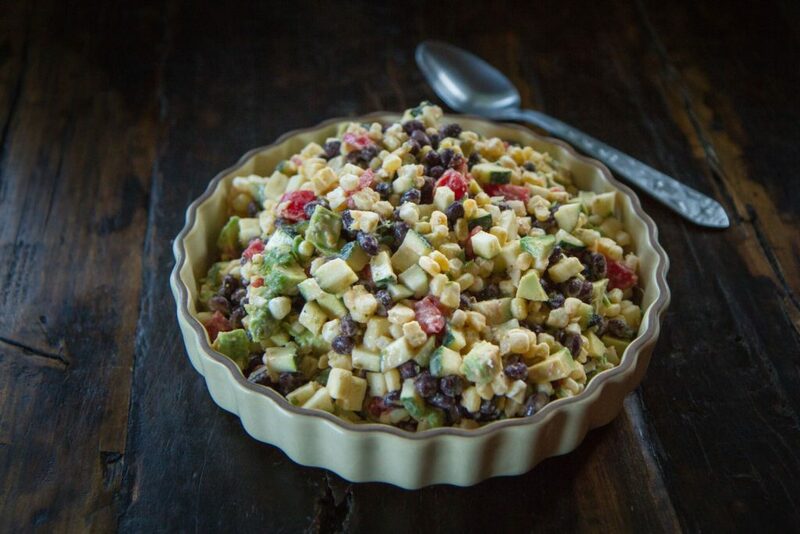 Summer produce is coming in strong from my garden and this salad is an easy way to enjoy it. No cooking, just a lot of chopping. I decided to use corn, zucchini, tomato and scallion, but you can easily add or substitute other vegetables, like cucumbers, bell peppers or even yellow squash. Or kick up the spicy factor and try a fresh hot pepper too. Whatever vegetables you choose, this salad is really all about the dressing, which features chipotle-flavored mayo. The zest and juice from a lime give it a nice tanginess that balances the creaminess of the mayo and enhances the gentle chipotle heat and flavor. 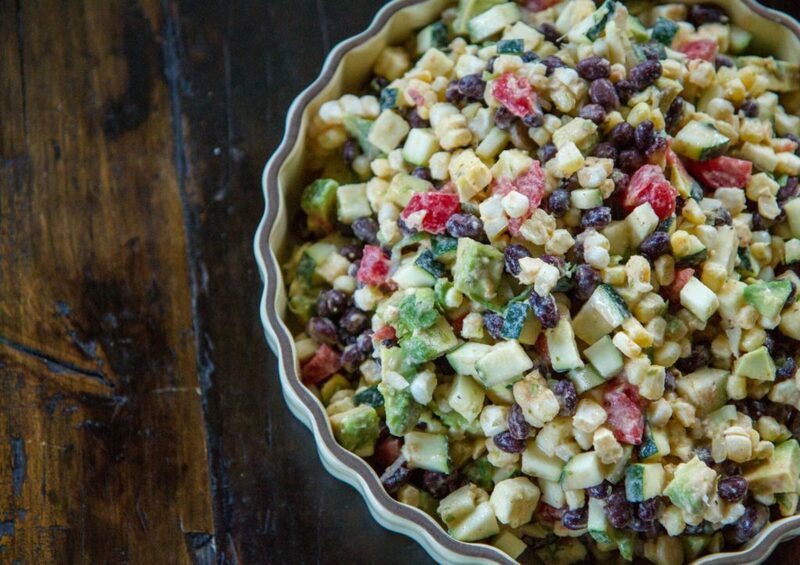 In a large mixing bowl, add the corn kernels, black beans, zucchini, tomato, scallion, avocado and cilantro. 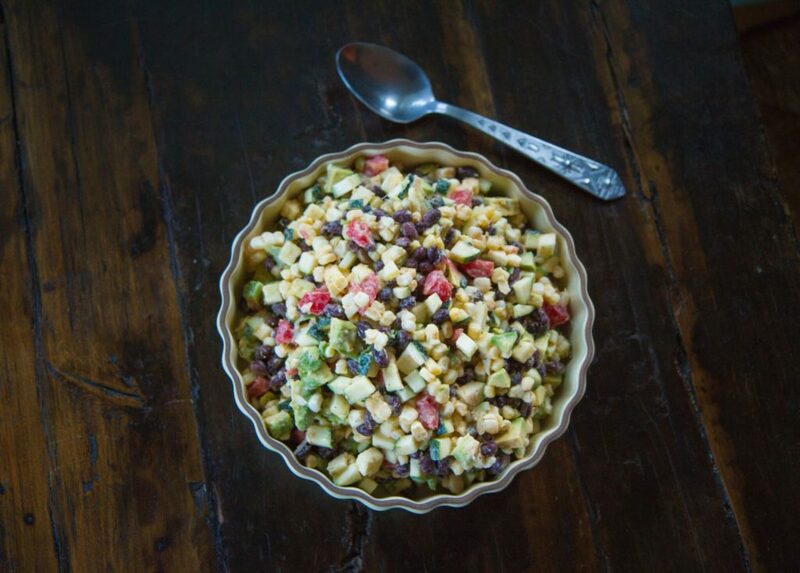 In a small bowl, whisk together the zest and juice of the lime, coconut oil and chipotle mayo. Will My Insurance Company Be on My Side in the Event of an Accident and Should I Speak With Them?